Who loves ice cream?? Me! Me! Me! 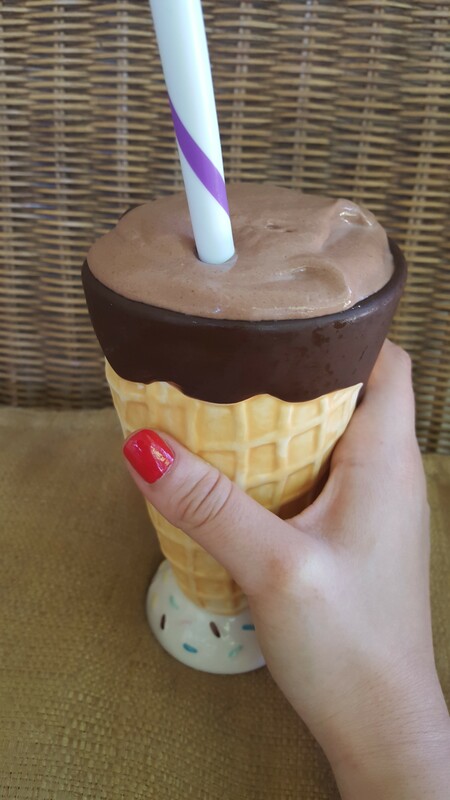 Okay, this isn’t really ice cream, but it sure does remind me of ice cream and I put it in an ice cream cup- so let’s just call this protein-packed ice cream. Cool? Cool. I did have to eat this with a spoon rather than drink it with the straw. 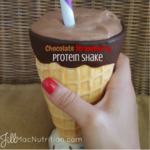 It’s the perfect cold, creamy treat after a tough workout in the heat of summer. I’m really getting into the protein shakes – in fact, I’m actually going to be doing a detox with some of my fellow NTC classmates in a few weeks, consisting of protein shakes & veggies! I think my body could really use a detox. Learning about detoxification has been really fun for me, so I’m excited (and maybe a little nervous…) to try this detox and see how much better I feel afterwards. <– This is the protein powder that I use. Click on it to order via my Amazon affiliate link! The collagen I use is Vital Proteins. I hope you enjoy this as much as I do- it tastes like chocolate – covered strawberries!